Was für ein hübscher Mensch !! Und was für “grässliche” Monster !! Da hast Du mir heute Abend viel Spaß bereitet !! Darf ich Deine “Monster” verwenden ?? Sie sind herzlich willkommen. Ja, Sie können diese Monster-Designs für eine Tasse verwenden. Genießen Sie! 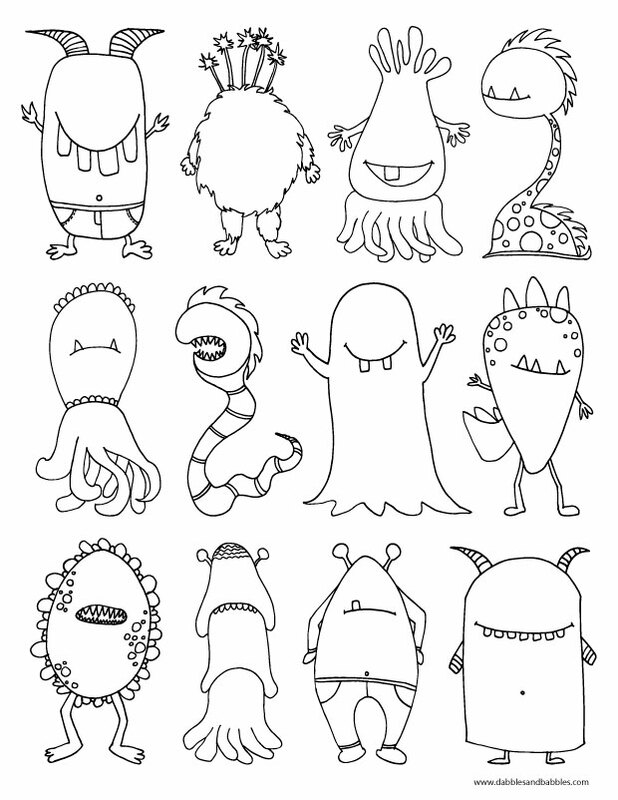 What a cute coloring page, love your monsters. My kids will love it. Thanks for sharing! Thank you so much for these! My daughter will love them! thank you for this adorable coloring page. thank you so much! The monsters are so cute, I love them personally. Going to print it out for my son to colour. Cute idea!Those monsters are great. I’ve pinned your monsters and robots so far! I think they would make adorable additions to themed birthday parties! Thanks for sharing, great stuff!! Jamey, hello. I loved your little monsters. I used them as part of my crafty workshop at St. Andrews International School. We made magnets. I have mentioned your work on my website and linked back to you (of course) but would like to ask you if this is ok with you! http://hattifant.com/st-andrews-international-school-bangkok-term-iii-2014/ Thanks so much! I love that idea Sarah of keeping a binder for road trips. We live in the main city on the southern tip of an island so we rarely drive anywhere longer than 25 minutes but if we were on the road more I would totally do that. These are absolutely adorable, found them on Pinterest while looking for something for my son to do on this snowy, rainy day. Thank you very much! it should show some of my murals I have been painting for the last 6 years on our front porch windows. It will take you to Northland’s Newcenter in Duluth, MN. I am always looking for something to inspire my murals. I think you have some of the sweetest monsters. May I use them with my painting? Jamey, I just found your site and want to thank you so much for sharing your talents. 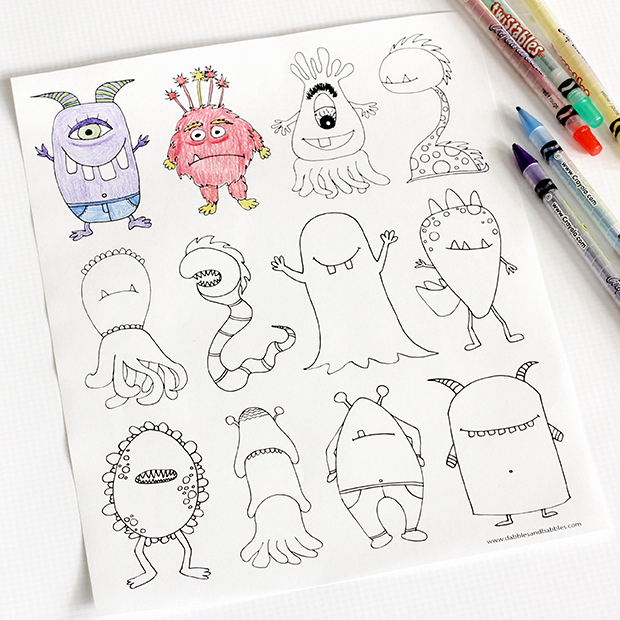 I am a senior citizen who loves to print and share pages like this Monsters Coloring Page with the neighbor children. One suggestion….You may want to change the caption under the page above from “Monster’s for your kids to color.” to “Monsters for….” I’m looking forward to your future posts now. Thank you thank you thank you so much!!! your drawings are so cute!!! Hi Jamey! I made an art journal page and used a monster from the free printable. The monsters are too cute! And of course, I did link back to your page twice in the blog post and asked that anyone who uses your printable do the same. Thanks for the freebie!